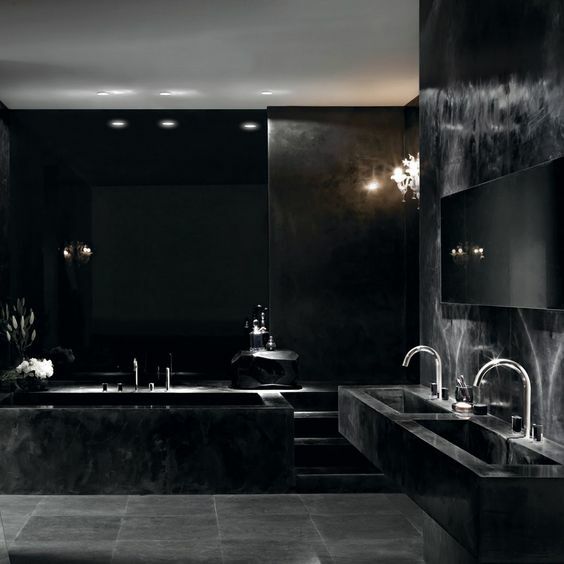 Black is a timeless color, it never goes out of style, matches different decor and styles. 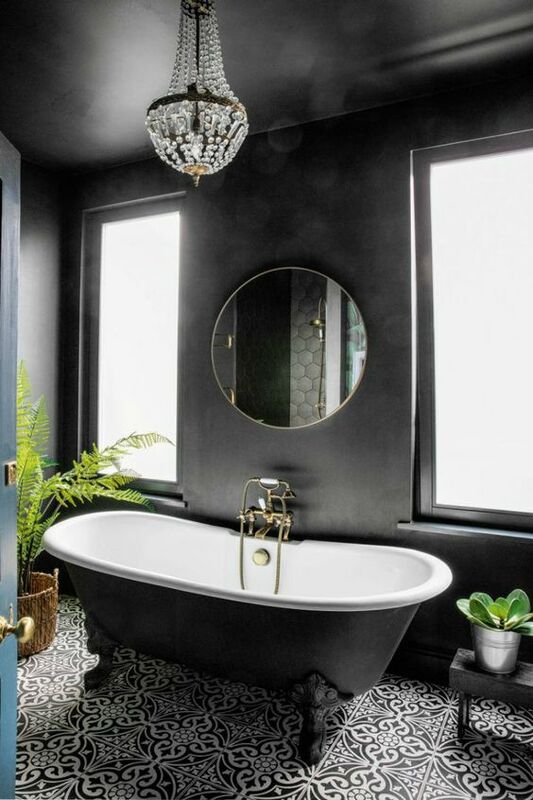 Today I’d like to show you how to implement this color into your bathroom decor. 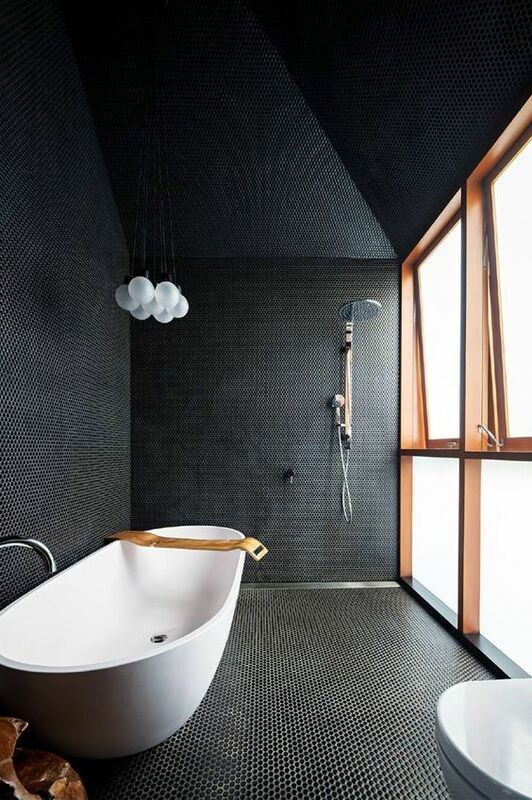 Ready for all-black eye-candies? 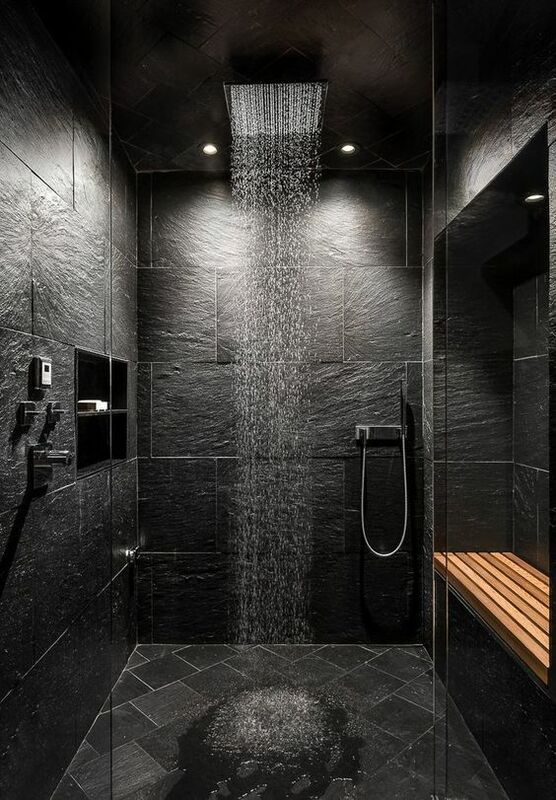 Then let’s start! 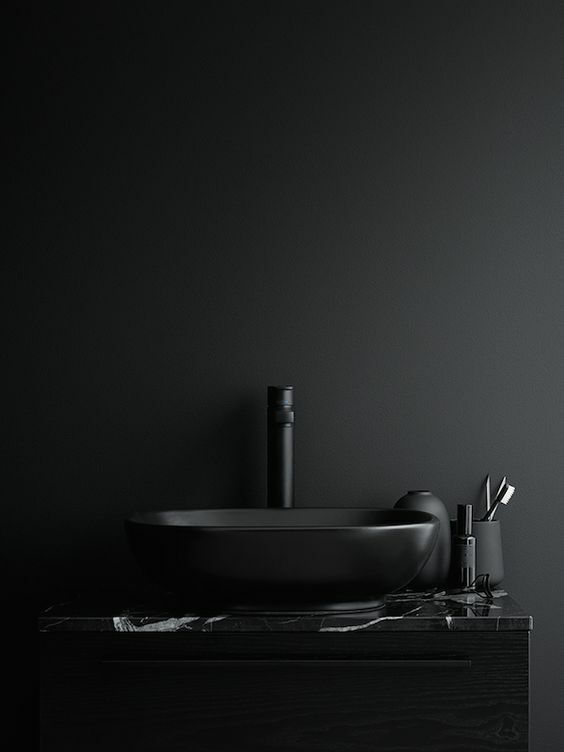 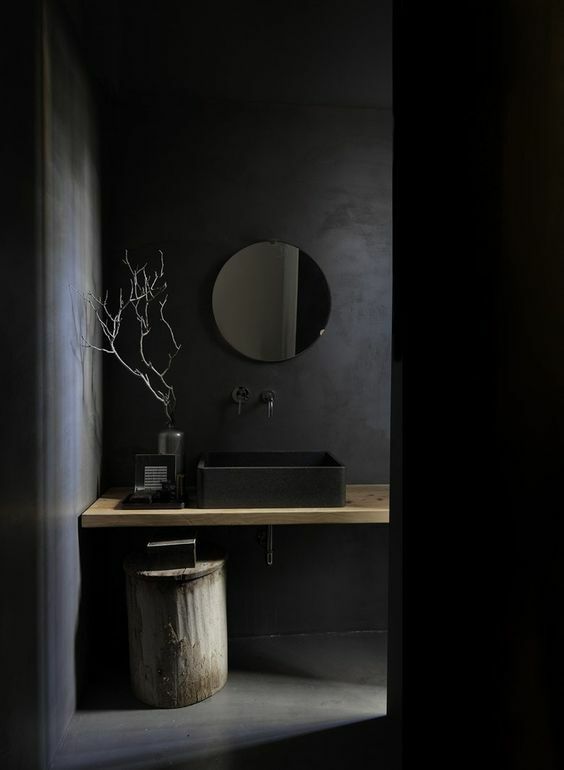 Start with black walls – they can be of black concrete, painted plastered and of course tiled. 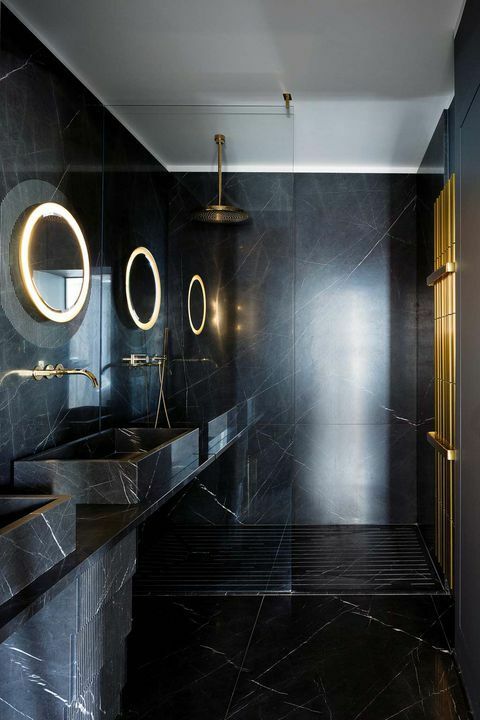 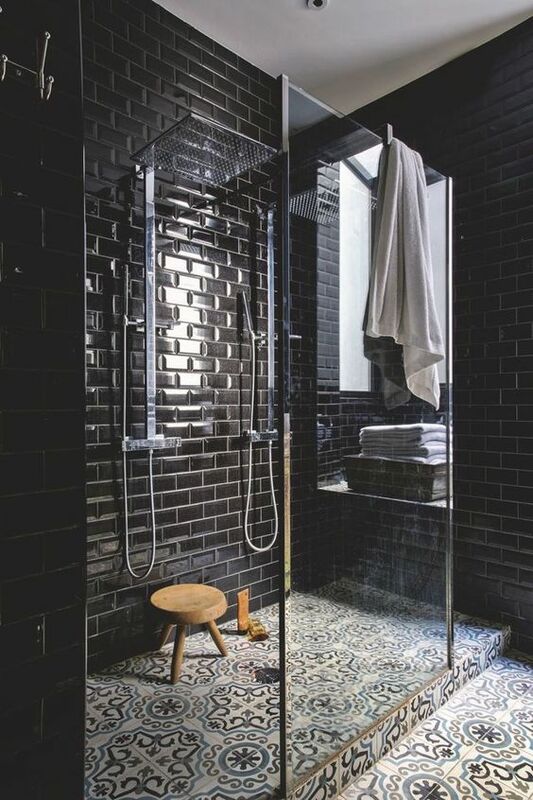 If you prefer tiles, go for black subway ones that are on trend or try stone and marble-imitating black tiles for a catchy look. 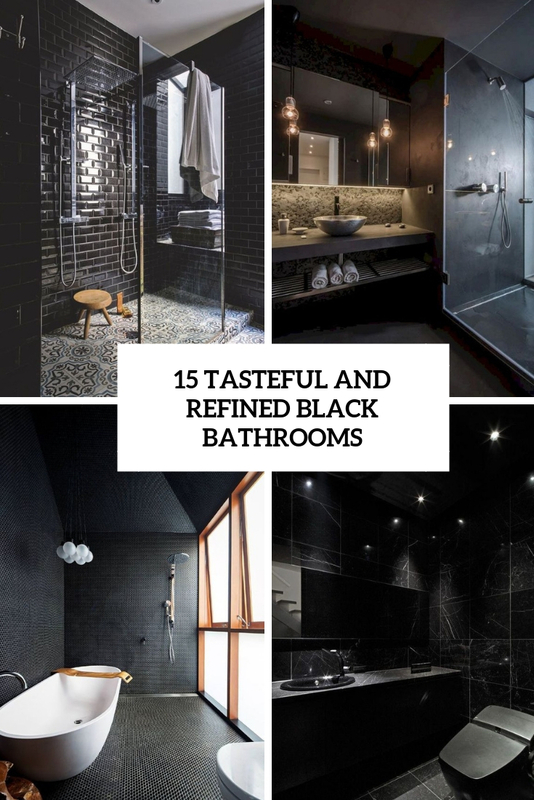 Go for black appliances: sinks, a bathtub, a vanity for it and all the other items. 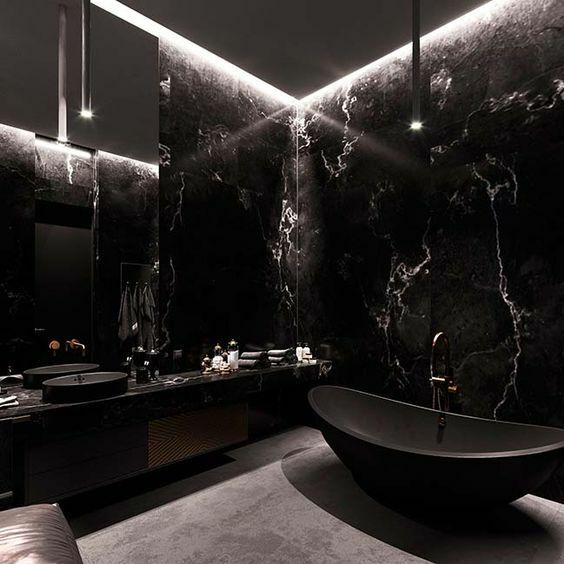 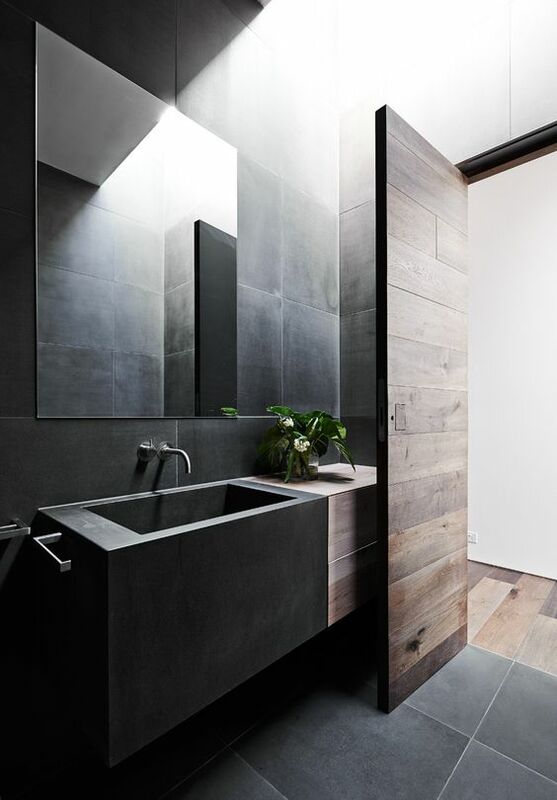 Pay attention to stone sinks and bathtubs that look luxurious or go for matte black ones to achieve an ultra-modern look. 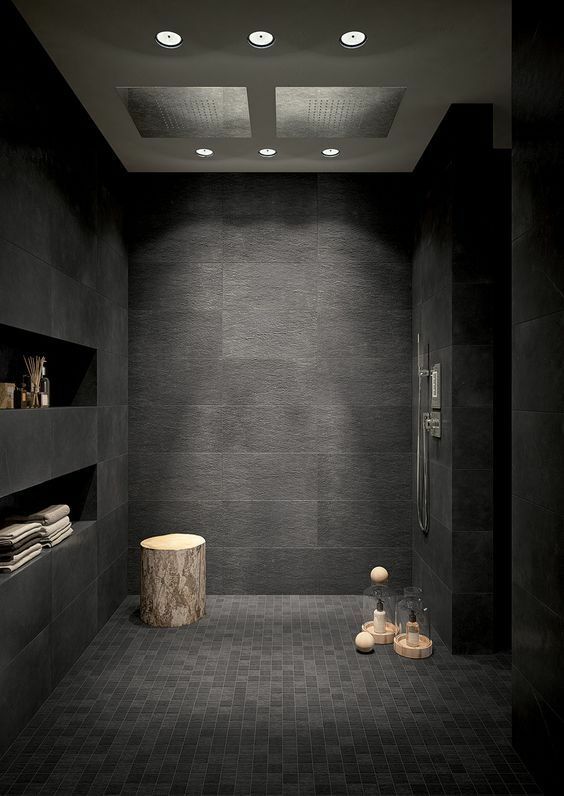 you may vary the look of your bathroom with tree stumps, light-stained wooden items and other stuff. 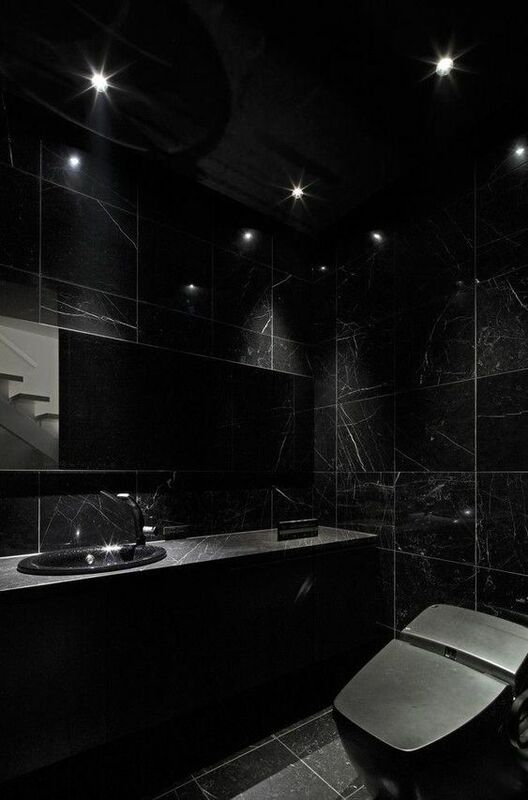 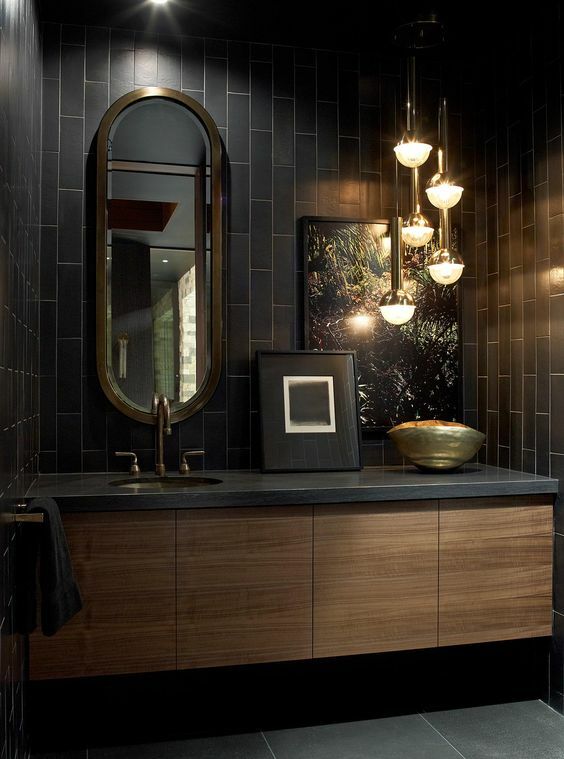 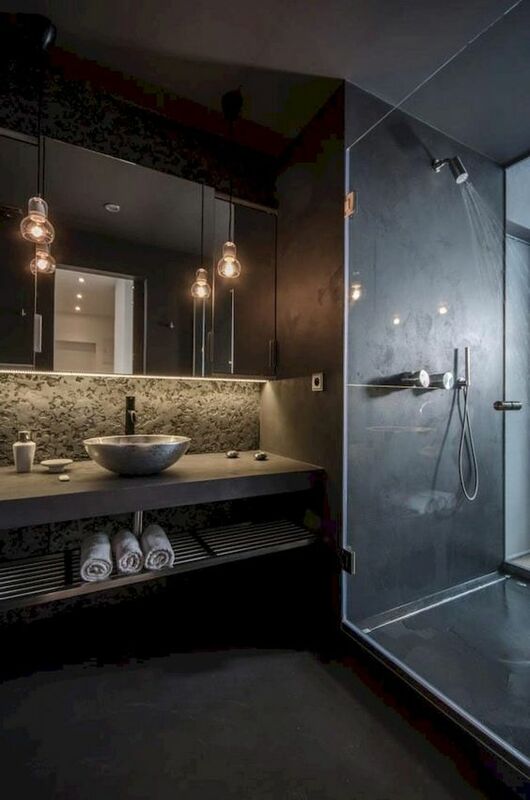 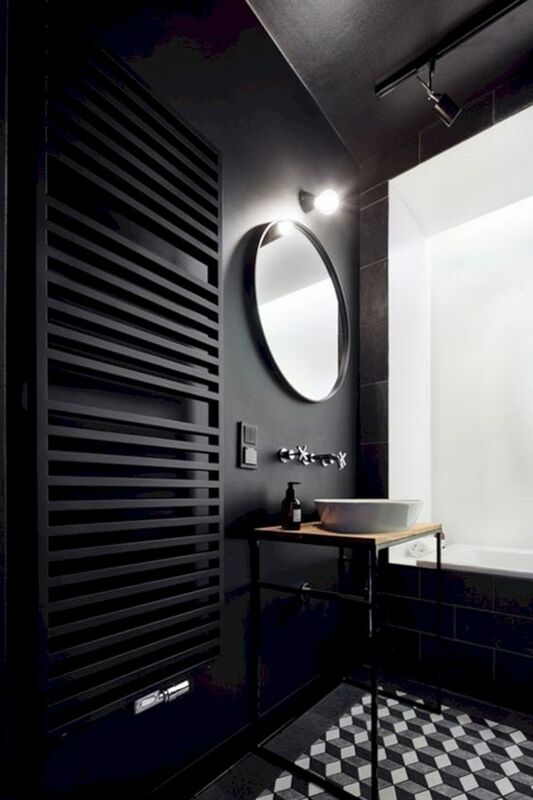 Incorporate much light into the decor as all-black bathrooms are moody: make a frosted glass wall and hang many lights.